It has a wide variety of nuts, rich nutritional value and high medicinal value, which is very popular among consumers. However, the nut shells, nuts, and drying characteristics of various nuts vary, resulting in different methods of drying. The nut is dried mainly by controlling the external temperature, so that the outer temperature of the nut husk and the nut is higher than the temperature of the nut, and the temperature difference between the inside and the outside is formed to remove the water, so as to achieve the proper moisture for storing or eating the nut. Most of the nuts are dried by traditional methods such as natural drying, artificial drying, hot air drying and microwave drying mechanical techniques. The natural drying method applies to the climatic characteristics of the northern region. The method is to spread the rinsed nuts on the clams, first to dry in a cool place where the sun does not reach for about half a day, and then let the most of the water evaporate and then spread the sun (the nuts can not be exposed to sunlight immediately, otherwise it will cause fruit) The shell bursts and affects the quality of the nuts. Then it is placed in the sun to dry. When drying, the thickness of the nuts is less than two layers. The drying period is generally about 10 days. It should be frequently turned during the drying process to achieve uniform drying and uniform color. Although economical and practical, this method has a long drying cycle, poor dehydration effect, easy to return to moisture, and is susceptible to weather and natural environment, and the quality of nuts is relatively poor. 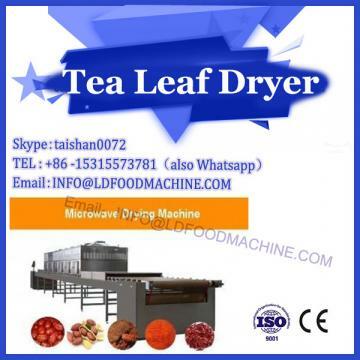 The hot air drying method, also known as "instant drying", is a modern drying method in which hot air is blown into the drying chamber to accelerate the air flow speed and dry. 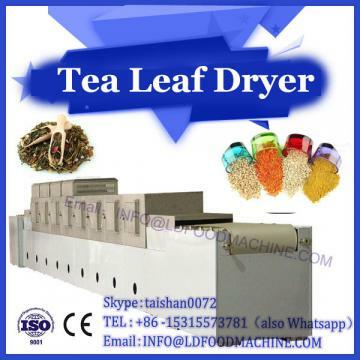 Hot air drying uses hot air as a drying medium to perform wet heat exchange with nuts by convection circulation. The wet heat exchange is carried out simultaneously in two aspects. On the one hand, the moisture on the surface of the material continuously diffuses through the surface gas film to the main body of the gas flow; on the other hand, due to the vaporization of the surface of the material, the surface of the material has a difference in moisture gradient between the surface and the inside, and the water inside the material gradually becomes larger. The surface is diffused to achieve the purpose of drying. The temperature of the hot air should not be too high, and should be controlled at about 40 °C, otherwise the fat in the nut fruit will deteriorate. Due to the rapid evaporative cooling of the surface moisture of the material, the surface temperature and moisture gradient of the material are much lower than the internal temperature and water gradient. The dual action causes a pressure gradient inside and outside the material, and the water is discharged from the inside to the surface under the action of the pressure gradient. It is evaporated again. The higher the initial moisture content of the material, the greater the pressure gradient and the faster the drying rate. 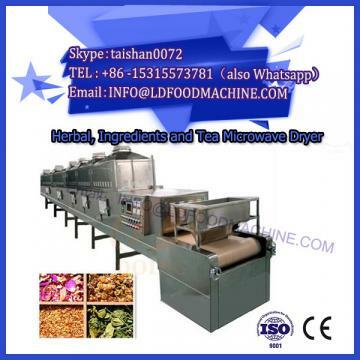 Microwave drying overcomes the microwave drying method in which other drying methods form a hardened shell to prevent outward movement of the moisture due to the first drying of the material surface. Most of the nut shells are hard, the drying time after harvest is long, time-consuming and laborious, the mechanical drying method of nuts is not mature, and the drying cost is relatively expensive. Therefore, nut drying has become a major difficulty in the nut industry, and the drying method is seriously restricted. The development of the nut industry chain.